This program focuses on helping children and youth cope effectively with the stresses of contemporary life, with an emphasis on the positive effects adults can have on students when they adjust strategies to the social-emotional needs of children. 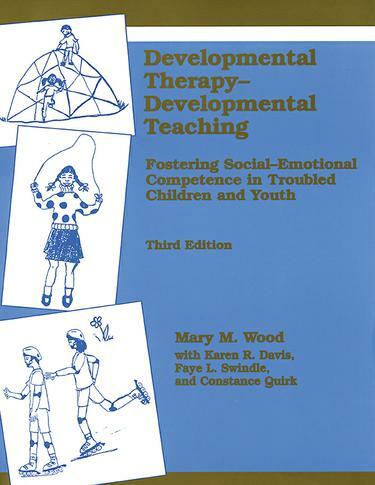 This text provides specific strategies for younger children, school-age children, preadolescents, and adolescents. It addresses objectives in effective interpersonal behavior, social knowledge, social problem solving, managing feelings, and behaving responsibly. Reproducible items include the evidence base for the program, Developmental Therapy Rating Inventory of Teacher Skills, Administrative Support Checklist, and Sample Developmental Teaching Objectives Rating Form-Revised.